When the Christmas party season comes around I love to glam up and feel extra special in my party clothes. One thing I am not a fan of however, is false eyelashes. With my contacts they make my eyes feel very heavy and tired, resulting in me wanting to leave earlier than necessary. Don’t get me wrong, I still love for my lashes to look long and flirty. Therefore, I am always on the hunt for the best mascara to do this – one that doesn’t feel too heavy. Sometimes to get long lashes it can make mine feel very heavy and clumpy. I’ve been looking for the best mascara and I think I am one step closer. I think the fibre lash look has been in the market for a while now and because of the hype I was quick to misjudge and move past it. 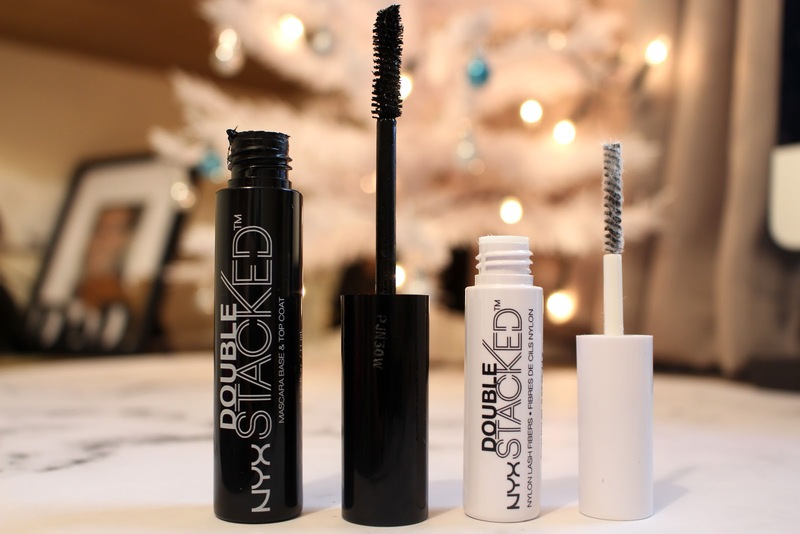 However, I recently found a NYX version called Double Stacked. When I picked this up I did not actually realise what I was getting, I believed the white part of this product was a primer and would coat my lashes in a white layer of mascara. However, when opening up the product I realise it was, in fact, fibres. The back of the pack states to coat the lashes in one coat of mascara, then add the fibres, and then finally coat with an extra black colour. When I applied the first coat of black mascara I was actually very shocked at the results. I always curl my lashes before I apply any mascara so I cannot say what would have happened without this. But I love how long it made my lashes, whilst it did not thicken them it made sure they were separated beautifully. Then I applied the fibres. What I will say is, do not put them too close to the base of the lashes. Because it really hurts! But after this you apply the next coat of black mascara. This makes the lashes thicker and makes them that little bit longer. All I can say is I’m really impressed with this. I have not had the chance to judge the staying power of this mascara but I love that it doesn’t make my eyelids feel heavy or my eyes itch! The cost of the product is £14.00, which is a bit more expensive than most drugstore mascaras. However, when taking into reflection that there are two parts to this product and potentially the fibres could be used with other mascaras I believe it is worth the money. 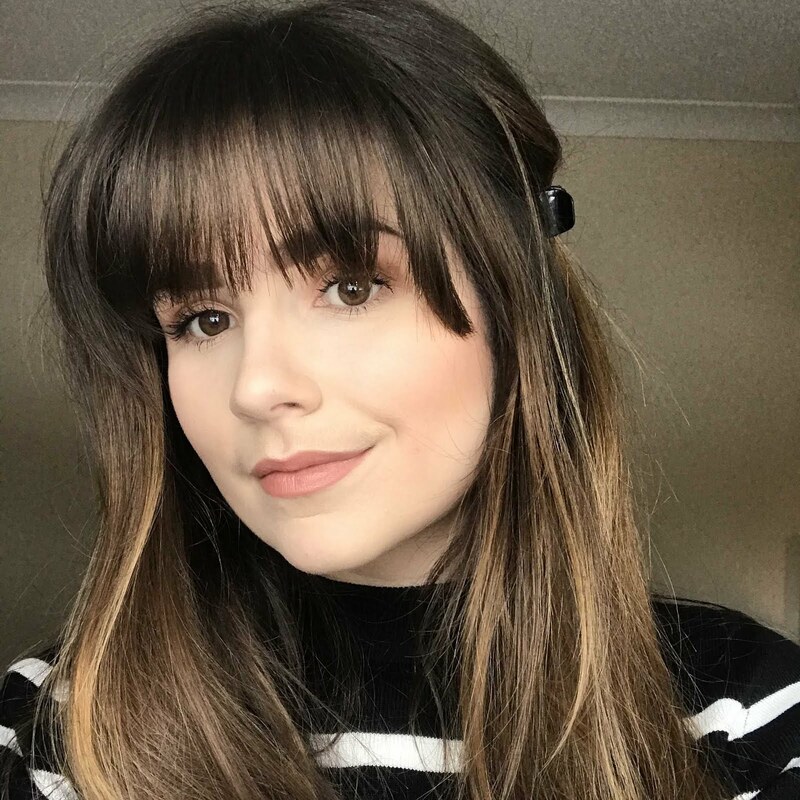 What’s your go-to Lash Look for the Christmas Parties?